What a great DataScience Meetup. 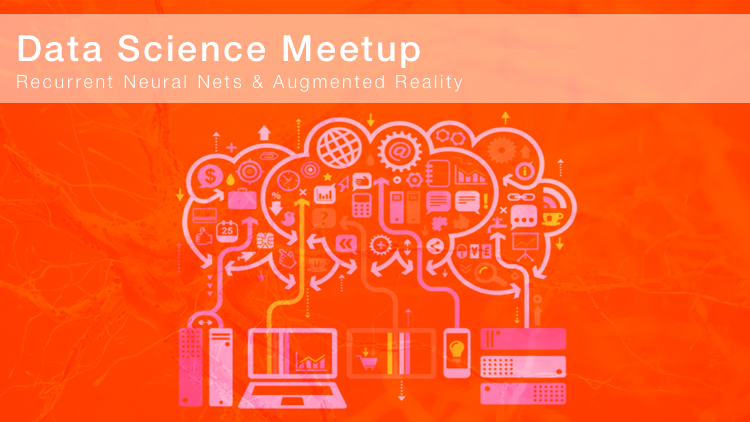 We met for beer and pizza at Launch Coworking Space on October 26th, and enjoyed a two great presentations on recurring neural nets ( a follow up presentation to feedforward neural nets ) and a presentation on augmented reality and how to develop AR apps within minutes. Fig1. - Sketch RNN demo; Draw Together with a Neural Network. Gannon gave a great presentation on Recurrent Neural Nets. He explained that neural nets flow data in recurrent cycles. Recurrent layers simulate memory by applying bias based on past data. RNNs as stacked up copies of the same feedforward neural net. Hidden layers of each copy are sequentially connected and influence the output of the next time step. RNN training uses a backprop variant called Backpropagation Through Time (BPTT). BPTT allows backprop to take recurrent complexities into account. Gradients represent the change in neural net weights over time. Vanishing gradients can affect any kind of neural network. Simple RNNs are especially susceptible to these issues. Gannon included a lot more great information on RNN's, please see the full presentation here. Our second presentation was given by Kushagra. He decided to put a Halloween twist on his presentation on augmented reality, by showing us how to build an app in to minutes, that allows us to generate a 3D pumpkin on top of a $5 bill. Kushagra explained that augmented reality is placing a virtual object in a real environment. A great example being Snapchat overlays like dog ears, bows and other symbols. To fully understand and view all the steps we took during the presentation and create you on app, please view his step by step guide. Fig3. 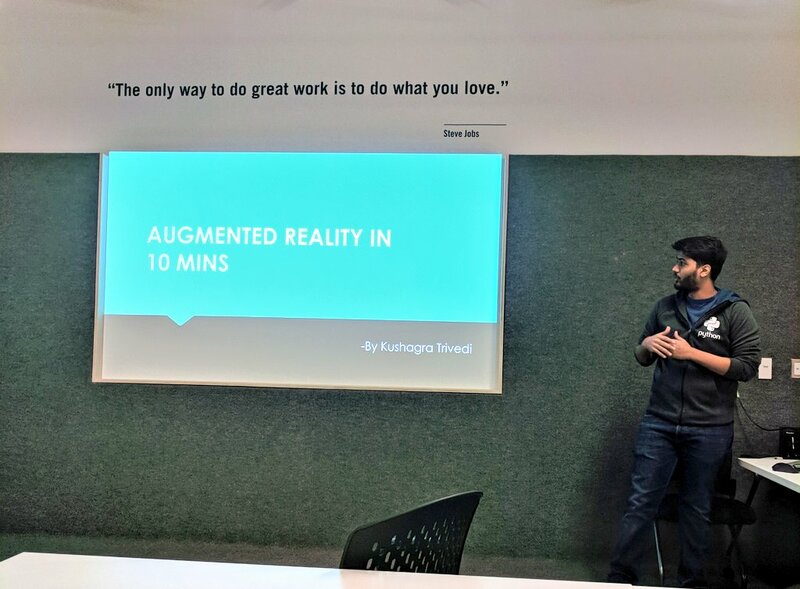 - Kushagra giving a presentation at our latest Meetup. Join us for the next DevOps Meetup or Contact us for more information!